The saying is that you should not judge the book by the cover. Based on our experience with the 2013 Buck Shack Red you should not judge the wine by the label. The name and the rustic design did not fill me with confidence that this week’s bargain wine would be a winner. Buck in the name of the wine makes me think of Two-Buck-Chuck, which may now cost $3 but remains a wine that I generally avoid. California Girl Comments: This wine is no Two-Buck-Chuck and shouldn’t even be said in the same breath! I bought this wine at Costco because I am always looking out for interesting wines for our bargain wine of the week. With its rustic label and blends of wine, I thought we should give it a try. The nose was my first clue that Buck Shack Red would pleasantly surprise me. It had medium intensity with red-currants to the fore. Taking a sip I was met with assertive tannins, medium acidity, and blackberry. The finish was not overly long, especially in the light of its up-front strength. The balance was excellent. I suspect that this wine will improve with age, but it was certainly a wine that both California Girl and I enjoyed drinking now. California Girl Comments: I really liked this wine. It is complex yet not overly tannic. It is less fruit forward but rich and beautiful in the mouth. I think it’s a real winner, and tastes like a far more expensive wine. 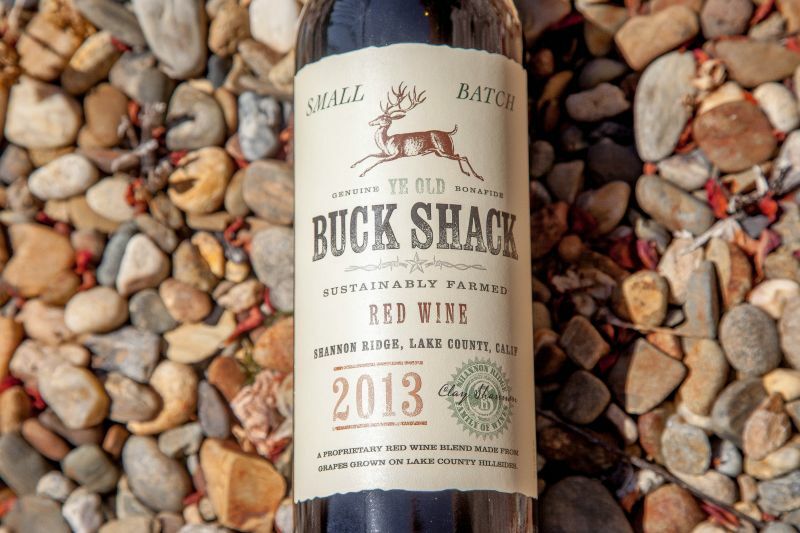 Buck Shack Red comes from Shannon Ridge in Lake County, California. The name of the wine refers to a hundred-year-old shed that stood on their property. The shed is now a Whiskey Bar. A winery with a Whiskey Bar sounds like a place that we need to visit. 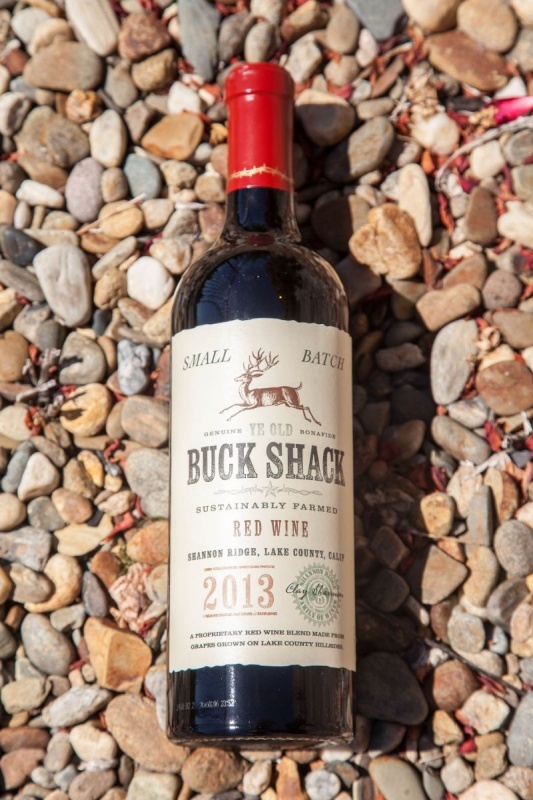 Buck Shack Red is a blend of Syrah, Tempranillo, Cabernet, Barbera, and Petite Syrah. I assume that the third grape listed is Cabernet Sauvignon, but it could be Cabernet Franc. The wine is generally sold for about $20, but California Girl purchased it at Costco for $12. The day after we enjoyed this wine, we went back, but they no longer had the wine. It is worth paying $20 if you see it, but at $12 it is a true bargain.